You’ve probably heard that chewing gum can help your teeth to fight against cavities, but is that actually true? It seems like it could be, but does that mean that it really is? Thankfully, at Shores Family Dentistry, we’d like to set the record straight on this matter. 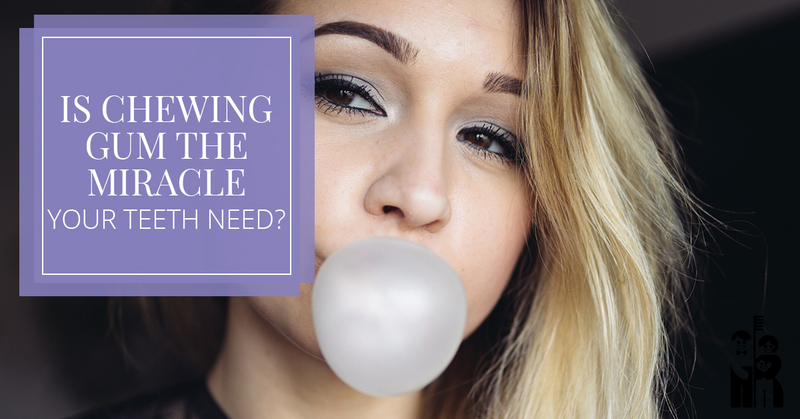 At the end of the day, nothing beats regularly brushing and flossing, but if you’ve ever wondered if gum does anything beneficial for your mouth, then today’s post is for you. Keep reading to learn more! So let’s break this down a bit. What is gum? For the most part, it’s a synthetic substance that includes either natural or artificial flavors (or sometimes a combination of both). If it contains sugar, is it good for your teeth? After all, sugar is one of the biggest causes of cavities. On the other hand, is an artificial sweetener any better? Generally speaking, chewing gums that contain artificial sweeteners will be better for your teeth. After all, they’re not introducing any extra sugar into your mouth. In fact, chewing gum can increase the amount of saliva in your mouth, helping to break down anything that’s stuck in your teeth. In other words, gum can be good for your mouth — sometimes. Is the occasional piece of chewing gum going to make a big difference in your overall oral health levels? Probably not. Instead, as we mentioned above, the things that will do the most amount of good are brushing and flossing your teeth, and you should aim to do these things at least twice per day. Additionally, using mouthwash can help to get rid of particles that remain in your mouth. Another easy thing to do that greatly benefits your mouth is to stay hydrated. Drink plenty of water, and take your choice between regular or sparkling. Although previous studies have shown that sparkling water can negatively affect your enamel, more comprehensive studies have recently shown that this is not the case. And, of course, if you need to enjoy a piece of gum, don’t feel bad about it. It can help to freshen your breath and increase the flow of saliva in your mouth, but don’t count on it to fight cavities or anything like that. As you can probably imagine, one of the best ways to catch problems before they occur is by regularly seeing the team at Shores Family Dentistry. That’s why if you are looking for a dentist in Fort Collins, Colorado, we’d absolutely love to see you! We offer a number of different treatments and we can help with root canal pain, wisdom teeth removal, fillings, implants, bridges, crowns, and more. At the end of the day, you deserve to see a team who is committed to providing exceptional care for their patients, and that’s exactly what you get when you see us for a visit. Our friendly staff is here to help at every step of the way, so whether it’s a teeth cleaning or a toothache, you can count on us to help. Schedule a visit today!